You don’t ? Well, it’s quite simple, this term can be easily translated into French as “food that is eaten with the fingers”. Close to tapas, the concept comes straight from the United States: inspired by the development of fast food that favors speed, mobility and facility, this is however far from rhyming with junk food, rather the contrary ! Modernized pasta Bolognese: create a nest of spaghetti on which you will deposit a meatball filled with tomato sauce, all presented in a spoon. 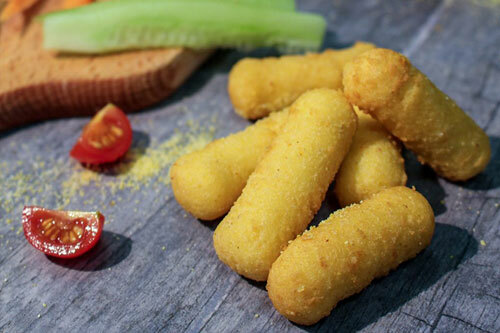 However, making homemade finger-food bites can take time: an opportunity is created to offer consumers ready-to-use products. Varachaux suggests individual portions ready to be tasted or integrated into finger-food recipes. We are proposing new products with inclusion. 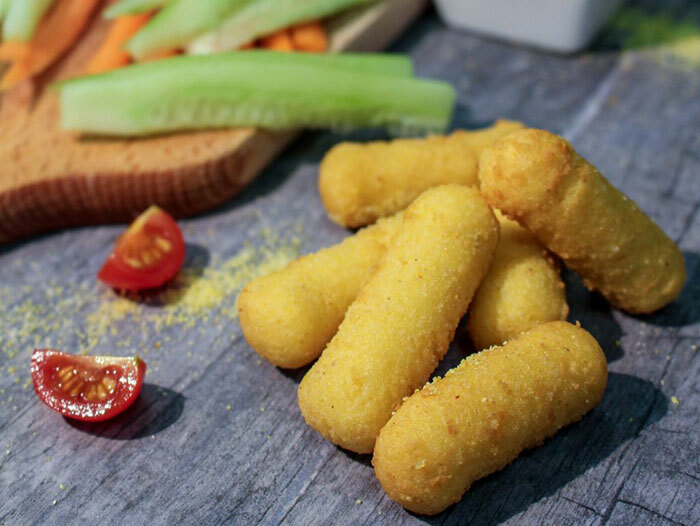 Our vegetarian balls or sticks with fondant heart (basil, lemon), our meatballs stuffed with cheese, tomato sauce or vegetable puree in different sizes will certainly bring modernity and freshness to your recipes. The smallest balls are available in 3 grams: mini weight but maxi flavor! We are able to elaborate for you several original shapes for quick to prepare and original pre-dinner. We offer dumplings, cubes, sticks… that the consumer will have a lot of fun to dip in a sauce for example.